Restaurateurs Steve and Jacquelene are part of the Flights of Chardonnay CRU on Friday, July 21nd. 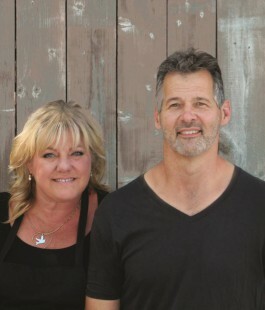 Jacquelene and Steve Del Col have always shared a passion for food. The former Toronto Sun photographer and Toronto Argonaut moved to Niagara and opened Zooma Zooma resto and wine bar 19 years ago and went on to win a Chamber of Commerce small business award and a Tourism Distinction award. Now, they spend their time catering, traveling and operating a bustling catering business. Visit them at many of the wineries across Niagara.